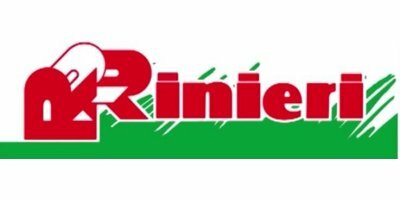 CPS and CPL - Trimmers and Pruners- Pre-Pruners for Vineyards - Double Barrel Winter Trimming Machine by Rinieri S.r.l. Double barrel winter trimming machine for cutting the branches in cordon vineyards. Pre-pruner and remover vine canes CPS, suitable for all varieties of vineyards, essential for cost containment of vineyard management. To the operator is left only the finishing touch of occasional clearing of the wires as most of the canes are removed from the wires, therefore reducing the pruning time by at least one third. The CPS has electro-hydraulic controls and a ergonomic joystick with 8 functions that allows it to work on slopes due to 2 tilting functions, sideways and backwards/forwards, that permits easy entry-exit of the rows. It is also possible to mount on the same frame the summer trimming machines CRV and CRL, leaf removers and shoot remover. Pre-pruner and remover vine canes CPS, suitable for all varieties of vineyards, essential for cost containment of vineyard management. Macchina pre-potatrice stralciatrice adatta a tutte le forme di allevamento speronate, fondamentale per il contenimento dei costi di gestione del vigneto. No reviews were found for Model CPS and CPL - Double Barrel Winter Trimming Machine. Be the first to review!